Nearly 1.4 billion pounds of cargo made its way through Chicago Rockford International Airport in 2017 — a record that the airport has beaten by nearly 22% through the first 10 months of this year. It’s an impressive feat considering that figures for the busiest months of the year are still to come — November and December, when retailers and shippers scramble to fulfill holiday e-commerce orders and returns. Through October, nearly 1.7 billion pounds of cargo has landed at Rockford’s airport. That’s 77% more than the 951 million pounds of freight that came through during the first 10 months of 2017. “It’s been pretty busy around here for the last month or so,” said Zach Oakley, the airport’s director of operations. Airport leaders aim to make Rockford a Midwest hub for e-commerce freight, and the first steps toward that goal were taken in 2016. That’s when ABX Air began ferrying cargo through Rockford for online retail giant Amazon.com. 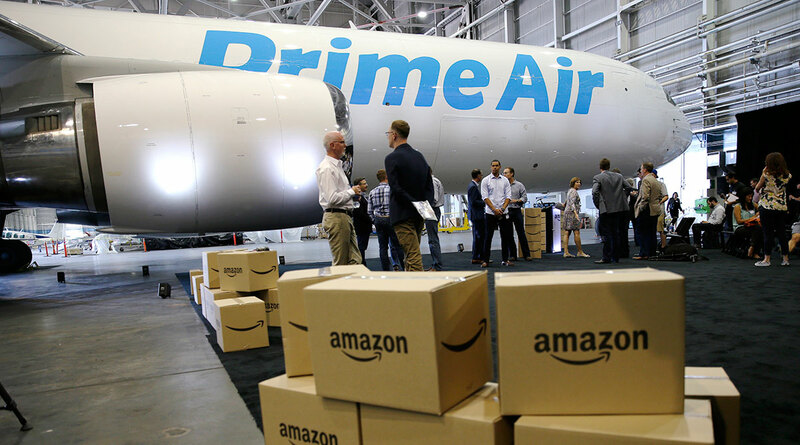 Air Transport International, an affiliate of ABX, also is routing freight through Rockford for Amazon, as is Atlas Air, another leader in the air cargo industry. UPS Inc., which operates its second-largest airfreight hub in the nation here, has increased its daily cargo flights to Rockford from 34 to more than 40. That will grow to more than 50 daily flights after Thanksgiving Day and up to nearly 70 daily flights two weeks before Christmas. The city’s airport became the nation’s 22nd busiest in terms of cargo activity — up from 31st in 2017 — according to the Federal Aviation Administration. Airport officials believe it will land somewhere in the Top 20 in 2019. Rockford’s air cargo boom is translating into more revenue for its airport. Midway through its 2019 fiscal year, the airport has earned $130,000 more in landing fees — money collected from each plane that lands at the airport — than it budgeted, Shelly Cassaro, the airport’s deputy director of finance and administration told commissioners Nov. 15. Incoming freight goes to an 80,000-square-foot cargo terminal that the airport leases to LGSTX, the real estate arm of ATI and ABX Air’s parent company. There, packages are warehoused before leaving Rockford on trucks or jets bound for fulfillment centers or other destinations. A $5 million expansion of the apron serving the airport’s airfreight operations is underway. A $10 million, 120,000-square-foot expansion of the airport’s cargo warehouse will begin Nov. 26, and discussions with Rockford Mass Transit District are underway to add a bus stop at the terminal to serve employees when the project concludes.